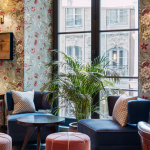 If you are after an uber-cool hotel in Paris close to the action, which marries the old with the new, has a great place to drink cocktails, meet up with friends, eat great food, and be round the corner from the Sezane apartment – then you have to check out The Hoxton, Paris, located on the Rue du Sentier in the 2nd arrondissement. I’m a huge fan of old buildings, I seriously think I was an architect in a previous life, and I adore The Hoxton, Paris hotel hotel building, which occupies a 18th century hôtel particulier building (aka a grand mansion to us English folks) set around two picturesque courtyards built by architect Nicolas d’Orbay for Etienne Rivié, which then became a clothing factory, before finally a hotel, and thank god it did as it really makes a wonderful vacation spot. The first thing that hits you when you arrive is all the cool kids hanging out in the stunning courtyard, who don’t even stray from their conversations to see you weaving through and struggling on the cobbles with your suitcase, it is like in a way that you are invisible, the second thing is the decor, as you would expect from The Hoxton it is super cool and stylish, which perfectly fits with the historical elements of the building such as the two 300-year-old spiral staircases in both the lobby and bar. 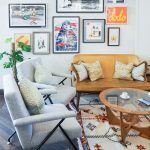 The hotel is classed as boutique, but it still has 172 guestrooms, and four different options – Shoebox, Cosy, Roomy and Biggy – so something for all budgets. Traveling light or solo for one night then Shoebox will probably work out well. 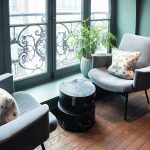 For a nice size without costing the earth and not stepping on your partners toes then go for the Cosy, which is what we stayed in, perfectly sized and actually probably larger than most hotel rooms in Paris. Looking for more floor space or a terrace then you need the Roomy, and for the ultimate indulgence, the Biggy, just make sure you ask for one with a roll-top bathtub to get the full luxury stay. 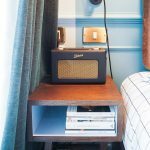 I was impressed with the Cosy, I loved the industrial-kitsch decor with its woven metal partitions that reminded me of New York industrial loft, retro phone and radio, rustic bedside tables, 50s Lampe Gras lamps and leather straps holding up the headboard. The bathroom was just as nice, a large walk-in shower, white subway tiles and copper taps, shower head and light fittings – basically the bathroom of my dreams, minus the bath, and it also had the dreamiest toiletries by Bl_nk, which sadly didn’t come in stealable miniature sizes! Basically, this is the hotel not just for hipsters but also interior lovers, I loved the decor so much that I’m thinking of doing an interior ‘get the look’ blog in the future, I’m already scouting out the pieces I loved from the marble top tables in the lounge to the rustic leather and pink velvet armchairs, the gorgeous blue sofa in the lobby, the checker grid duvet, the copper caged lights, the blue velvet bar stools, and the over-the-top full length gold-rimmed mirror. 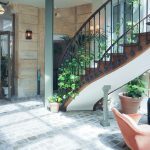 The interior flair wasn’t just reserved for the rooms, the whole of The Hoxton, Paris is beautifully decked out with fittings and furnishings from France’s most-loved designers, including Jean Prouvé and Mathieu Matégo. 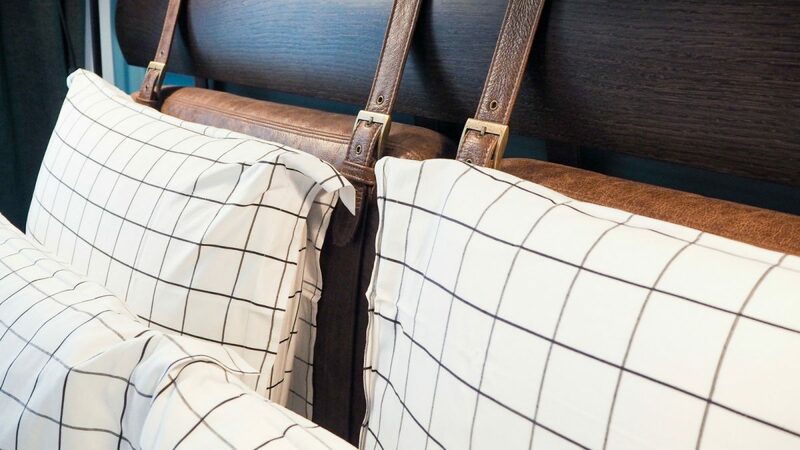 If you don’t already have a Pinterest board dedicated to hotel furnishing ideas, staying here will certainly get you pinning. The Hoxton, Paris has so many options for food and drink, from the urban-infused brassiere, Rivié, will sprawls across the courtyards and indoors that offers all-day French-inspired dishes along some Hoxton comfort food classics, trust me you need to try the mac and cheese and truffle fries. Outside is nice, but I just adored the interiors inside from the velvet bar stools to the cosy sofas. Then for the evening you need to check out the exotic, intimate Moroccan inspired Jacques’ Bar for a cocktail, top tip ask one of the mixologists to whip you something different up, and then there is Planche, the Hoxton’s wine bar just off the courtyard. 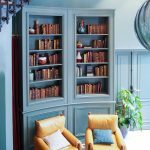 If you fancy instead to party in your room, just head down to the lobby and check out the Hox Shop, where you can get beers, wines and a range of snacks at high-street prices to fill your fridge up with! One other thing I need to mention about The Hoxton, Paris’ food options is that it offers a Breakfast Bag with every stay, which means that each morning hanging on the hook outside your door is a bag containing a banana, an orange juice and a yoghurt and granola pot, and it is super scrummy and so needed before heading out to see the sights of Paris. So, I wouldn’t call it enough not to have breakfast, but definitely enough to get you until brunch becomes an option, which FYI, the Hoxton also does amazing pancakes. 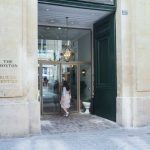 Overall, if you are looking for an Instagrammable hotel, The Hoxton, Paris offers you that and so much more. It is also well located, just a short and very pretty 20 minute walk to the Louvre and the streets filled with designer shops. 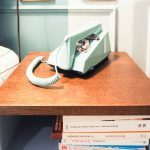 The rooms are comfortable, quirky and come with a tea making facilities – I do love a hotel that provides me with tea in the room. 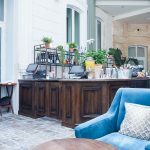 The staff are super friendly and knowledgeable, with the receptionist helping us out when we checked in with cocktail recommendations (which I promise to share in another blog post). Another plus point, this is a hotel with really good Wi-Fi, and you say you don’t care until it’s really crap and it means you can share all your pretty travel piccies. Most of all I just really loved the homely vibe, whether that was snuggling in bed watching TV, having cocktails downstairs, or meeting up with friends in the courtyard and chatting for hours, the atmosphere at the Hoxton is a big draw for the hotel. 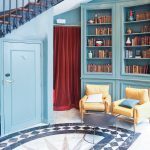 I love The Hoxton in London, now in Paris – I need to check off Amsterdam and New York before I can safely call this the coolest hotel chain to stay at. The Hoxton Paris, 30-32 Rue du Sentier, 75002 Paris, France.